The forum attracts the participation of adolescents from three ASEAN countries, namely Malaysia, Philippines, Indonesia, and outstanding Secondary and High School students in Hanoi, along with a representative team from Board of Organization. At the beginning of the debate, YNGO – non-governmental organization for youth show a connective performance – the song We are the world that convey the message of the role of ASEAN youth in general and that in the world as a whole. The performance brought exciting atmosphere to the whole guests as well as adolescents from ASEAN countries. In the jubilant atmosphere, ASEAN “young leaders” started to debate on the environmental issues with their creativity, and enthusiasm. 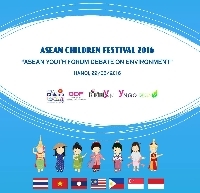 Acute environmental issues as well as the solutions for these global problems were stated by ASEAN children at the forum. 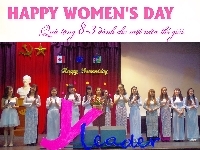 More than that, they also showed their viewpoints on essential qualities to become a future “leader” as well as an excellent diplomat of the world. The competition among future leaders is taken place with healthy manners and attitudes. The forum promises to bring interesting surprises until the end.